Established in 1938, Maynard Select is your trusted HVAC company that specializes in energy management, plumbing, geothermal and solar solutions for customers in Nashville and all Middle Tennessee. We are committed to providing the best possible service to our customers. We repair, service and install all makes and models of HVAC units including gas furnaces, air conditioners, heat pumps, ductless split systems to the wall and geothermal. We help customers reduce costs by offering complete packages to install and maintain refrigeration, food service, HVAC, plumbing and energy systems. We offer maintenance program through which we help your systems run efficiently throughout the year. Our certified technicians use state-of-the-art technology to diagnose and fix current systems and always use the brand new HVAC equipment for installations on the market. All our technicians are certified and undergo regular, ongoing training to keep them update with the latest technology. Call 615 732 7700 for emergency heating and air conditioning services. 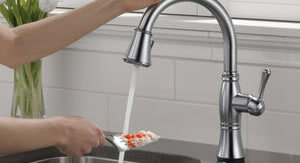 Maynard Select provides a full range of professional plumbing service to the entire Middle TN area. When you choose to call Maynard Select, you are choosing quality, trustworthiness and experienced technicians to address your plumbing needs. Maynard Select is a reliable and trusted partner for commercial customers. You can count on our technicians to understand commercial plumbing issues and promptly determine the best solution to meet your plumbing needs. Request more information on Commercial Plumbing service, or call 615-732-7700 for service in Tennessee. Our Air Conditioning Service Department is open 24 hours per day 7 days a week to handle those unavoidable system cooling emergencies. Our customers’ HVAC units often go out during the late evening or early morning hours when other companies are not open. We remain open every hour of every day. Our heating and cooling service calls are always scheduled at the convenience of the homeowner. Maynard Select’s Commercial HVAC Service Department is open 24 hours per day 7 days a week to handle equipment emergencies. We offer competitive service rates and product prices, professional installation, and can meet unprecedented time schedules. Churches, schools, industrial facilities and retail food stores have access to our Service Department 24 hours per day 7 days a week to handle those unavoidable equipment emergencies. Remember our service calls are always scheduled at the convenience of the client. The Maynard Select Service Department performs maintenance and repairs on your Refrigeration Equipment, Food Service and Kitchen Equipment, 24 hours per day 7 days a week. Whether your cooling unit stops working or other restaurant, food service or retail equipment quits, simply call our repair team. The Maynard Select repair department stays open to to send our equipped team to cover your emergencies. Maynard Select’s Commercial Refrigeration (Middle Tennessee) contractors build and service refrigeration installations for government, businesses and custom sectors. 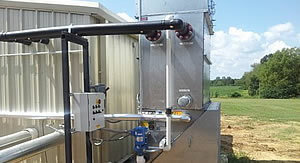 Please ask us about our commercial systems. Maynard Select is Middle Tennessee’s source for geothermal sales and service because we specialize in residential geothermal. Use the earth’s natural heat to provide heating, cooling, and water heating. Geothermal heat pumps are among the most efficient and comfortable heating and cooling technologies currently available. Please ask us about the 30% tax credit on residential geothermal energy systems. 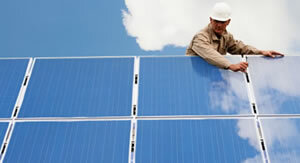 Maynard Select is committed to renewable energy sources such as geothermal and solar. We are honored to have been named the Green Leader recently by the Nashville Post. This section of our website provides information some recent home and commercial geothermal & solar energy projects. Each project opens to a photo slide show displaying the work we performed and energy system we installed. For Supermarket Customers – Display cases, Refrigeration, Walk-in Cooler/Freezer, Deli, Bakery, Meat Prep, Heat Reclaim, Hot Water Reclaim, Electronic Controls, Off Site Monitoring Systems, Remanufactured Equipment, Remanufactured Refrigeration. 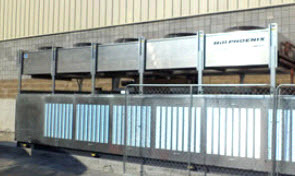 Maynard Select has a long and distinguished history of refrigeration sales and service in local food industries. As supermarkets grew in size and America took to the road, convenience stores blossomed across the landscape. From the small quick shop, convenience stores have now become a “one stop” attraction with gas, hot foods, groceries, sit-down eating, and 24-hour operation. Maynard Select’s equipment and service team supports any phase of store development from planning and installation to ongoing maintenance and repair of your most critical equipment. Our expertise is scalable whether working on a single item or large, industrial refrigeration warehouse projects. We provide complete design, equipment sales, installation and service for large and small refrigeration warehouse and specialized refrigeration applications. 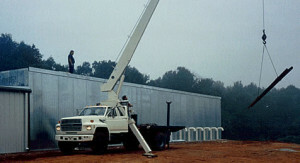 Space Planning and Equipment, Refrigeration Load Calculations, Complete Mechanical, Electrical,and Control System, Design Lighting Systems, Parallel Rack Systems, Complete Building Automation, Integration and off-site Monitoring, Specialized Refrigeration Process Systems: Blast Chiller/Freezer, Ice Builders for Thermal Storage. Refrigeration & Food Service.Maynard Select is the most reliable and experienced provider of refrigeration and food services equipment in Middle Tennessee.